We've had so many of these topics, and they all die after a few days. I'm hoping I can stop that happening with this one, because this isn't just about Imaginators, it can be about any character from any game. Hopefully everyone will now be able to post all of their ideas in this topic, at least keeping this topic alive for a little longer. So...let's post our headcanons, shall we? I'll post mine in a bit. Once a Skylander is placed of the PoP, they permanently return to Skylands. Taking them off the portal sends them to where ever they want to go, whether it's home, the hub or even still on the "level" they were sent to. Reposes aren't the characters themselves but instead upgrade trophies made by the Portal Masters at TfB and VV, that give them the ability to purchase that wow-pow. Zap's adoptive parents are a gay eel couple. Gill Grunt's leviathan is also his pet and is named Neptune. Hoot Loop loves making riddles, most of which his friends can't solve and neither can he. Spyro isn't any of his previous incarnations or their child but is an aspect of the original one not unlike the Legend of Zelda backstory. Malefor and Cynder are in the same issue but only the former actually retained any memories of previous encounters. Hex can channel power from the Core of Light itself, which is why Skull Buddy looks like the Skull Mask of Mortallannis. Kinda got broken by the fact she can still use it after SC though. Head Rush and Bushwhack are dating, though they couldn't be more different. While Bushwhack is calm and chilled out, Head Rush is loud and always wanting to do something extreme. Their "dates" are Head Rush taking Bushwhack out to a Troll Camp and then spending the whole night beating up trolls. Head Rush also displays her affection in more "aggressive" ways, such as noogies and surprise hugs from behind, which are so strong that Bushwhack think they'll eventually break his bones. Still, the relationship works out very well. Hood Sickle is the basically coolest guy ever. He spends his nights riding his chopper bike across islands, and doing crazy stuns and other daring things. All the minis want to be like him, and are always following him where ever he goes, hoping they can catch a glimpse of him taking down some bad guys. Luminous is a TV star, who owns multiple TV shows. He owns a news show, where he covers the latest things in Skylands, a talk show, where he talks with the Skylanders, celebrities and the other inhabitants of Skylands about everyday things, a cooking show, where he'll cook a recipe with a special guest, like a Skylander or one of the Doom Raiders, a game show, which is basically Who Wants To Be A Millionaire, a fashion show, where he talks about the latest hats and trinkets, and a music show, where he just does a jazz saxophone solo for an hour. He has millions of fans, and his fan girls fight over getting his autograph whenever they see him around Skylands. Luminous admits he sometimes has to hide while walking around town, just to avoid a wave of screaming fans coming up to him. When not doing Skylander business, Thrillipede spends everyday on his porch, sitting in a rocking chair and telling everyone his heroic war stories. Every 4th of July, he hosts a fireworks display, which many denizens of Skylands come from all over to attend. While Eye Brawl is really popular with all the other Skylanders, Dive-Clops isn't. He spends his time at home, watching TV or reading a book. The other Skylanders offer to do things with him, but he's so against doing anything dangerous or extreme that no one really talks to him. Eye-Brawl visits him a lot, though, and his brother's visits are one of the things Dive-Clops looks more forward to then anything else in the whole world. Most of the Senseis are super lazy, and like to sleep all the time when not on adventures. It always annoys Ember extremely when Tri-Tip, Flareworlf, Aurora, King-Pen, Barbella, Chompy-Mage, Grave Clobber, Ambush, Mysticat, Wolfgang, Golden Queen, Bad Juju and some of the others are constantly napping, and is always trying to wake them up to get them to train for their next battle. Barbella trains with all of the other Senseis, in order to learn their techniques and abilities she can use herself in combat. She'll train with Tri-Tip to learn Earth abilities, Ember and Hood Sickle to learn their Sentinel skills, and some of the villains to learn how to avoid enemy attacks when fighting evil. Tri-Tip is a nice guy, but he's always shouting when he talks, so no one really speaks to him much. He also loves donuts, and sometimes he'll randomly find one stuck on his horns. No one is quite sure how this happens, not even Tri-Tip himself. Ambush is a super quite guy, and spends almost all his time meditating and resting in the woods. Ember is always training and never takes a break, and will get angry with someone who suggests that she rests for a while. King-Pen and Tri-Tip meet up at each other's houses every week to watch the sports games, while eating and guzzling an unhealthy amount of chips and soda. Wolfgang, even as a Sensei, is extremely destructive, and, while training, finds enjoyment in smashing training dummies with his bone harp over and over and over again. Tae Kwon Crow loves pizza, almost to an unhealthy point of obsession. All the other Doom Raiders constantly play pranks on Luminous, because he is so gullible and gets scared so easily. Nightshade is a lady's man. 'Nuff said. Persephone and Hood Sickle are dating, and though they could not be any more different, their relationship works well. Hood Sickle says it works out so well because they can relate closely - due to Persephone having no legs and him having no head. Luskku, or Squidish as dubbed by landlubbers, is a language used primarily by the squishy-skinned, sea-faring invertebrate denizens of Skylands—cephalopods. A funny-sounding tongue, with gurgly grumbles, guttural growls and, for Dreadwalkers, the clicking of mandibles. It isn't used too often as of late, mostly used by Squidface Brutes whenever barking out orders or Dreadwalkers colonies of the murky Poison Sea, but Wash Buckler lets a few words slip once or twice, usually when looking to impress attractive bar-goers or if something lands on one of his tentacles. Mermasquids can regrow their limbs. Riptide has a vocal sac. Contrary to popular belief, Stink Bomb is not green. No Swampskunk really is. Their coarse fur coats aren't too colorful—a small array of warm and cool neutrals—but albinism and melanism have occurred. Stink Bomb just happens to be a rich and plentiful breeding ground for whatever happens to latch onto him near the forest floor. He provides a warm, cozy shelter for the littlest of organisms, from beetles to roaches and from algae to fungi, causing his unwashed fur to appear a verdant shade, while they offer him a good deal of camouflage and as a deterrent for squeamish baddies who happen to get too close. If the smell doesn't already make them retch, that is. Hoot Loop has potoo in his bloodline. The Skylanders' names aren't their actual names. They're just superhero names. For example, Pop Fizz's real name might actual be Robert, and Gill Grunt's name might actually be Finn, and they simply have an alternate name now that they're Skylanders. The same applies to Doom Raiders and the other villains, but not to Spyro. For example, there's no way Wolfgang was born with that name, because he turned into a werewolf later in life. I believe that after becoming a monster, he changed his name based on his appearance and powers, and that's what I think all the others do. It makes sense, considering Mabu and other civilians have normal names. The Skylanders' names aren't their actual names. They're just Superhero names. For example, Pop Fizz's real name might actual be Robert, and Gill Grunt's name might actually be Finn, and they simply have an alternate name now that they're Skylanders. The same applies to Doom Raiders and the other villains, but not to Spyro. That's canon for at least Ghost Roaster and Ignitor, which just means we have yet to hear it from others who has a superhero name or not. Splat likes girls. It's partially one of the reasons she left the faun village, as none of her friends thought her sexuality was right. Smash Hit is actually a rabbit. He hides his large ears under his helmet. He hides them to avoid being made fun of, for being a tiny fluffy bunny. Nightfall's mask converts oxygen to similar fumes from he homelands. Astroblast is very cocky. He likes bragging about being "new and different" because of his element. 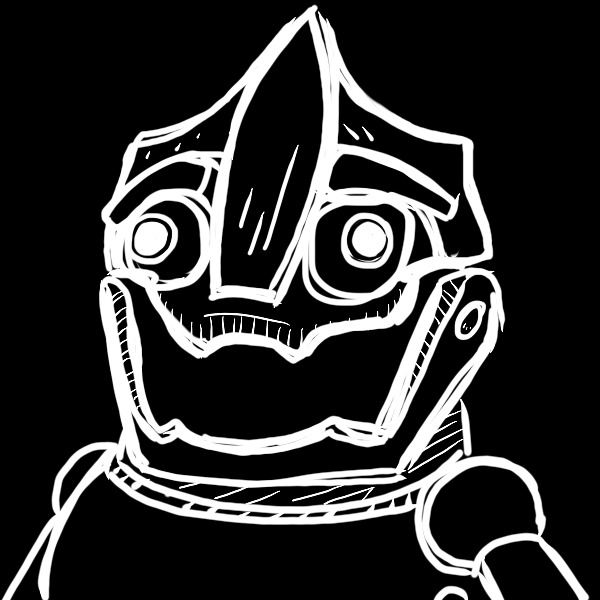 Knight Light is very judgemental. Whenever he sees someone about to do something wrong he tries to reason or even guilt them. Official way Lightcore work: Skylanders can channel the light of the Core of Light to become Lightcore. However, this does not make much sense since it was destroyed. So I prefer to think that when the Core of Light was destroyed in SSA, a part of its power was distributed evenly to all Skylanders, including those that were not recruted by Eon at the time. Any Skylander can become Lightcore by channeling the CoL power inside of them. The CoL power reduces bad intentions that certain characters may have had otherwise, allowing characters like Ghost Roaster or Blackout that are clearly evil-looking to become Skylanders and heroes. Eon knows who has the CoL power in them and recruits them as Skylanders but only after they are ready (show some form of heroism). Each skylanders figure is from a separate version of Skylands (Multiverse theory). This is supported by the Minis' backstories, Bowser and DK's backstory, and most recently, Crash. This explains why there can be multiple versions of a character appearing in skylands at the same time. Also why some skylanders may be corrupted by the darknessm or acceded to legendary status, yet still have a normal form. (This might also explain the reformed villains' elemental changes?) This also means that each game disc [or set of game disc] are their respective Portal Master's Skylands. The SwapForce doesn't actually like to Swap around unless they need to for an dual elemental gate. For most of them, it feels uncomfortable to swift around body parts like that, when you know they belong to someone else. They also find it hard to get used to the new powers in their legs. The Skylanders are divided into several teams, each with a distinct leader. Stealth Elf leads all the cores, having easily the largest team. 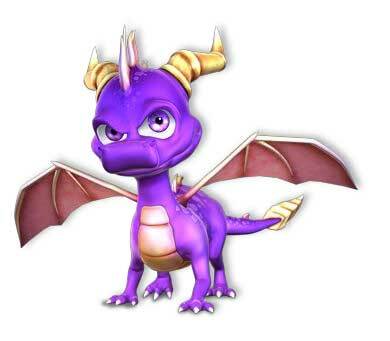 Spyro leads the dragons, whom are separated from the cores. Tree Rex leads the Giants, being the oldest and wisest of all the skylanders. Wash Buckler is in charge of the SwapForce, with Blast Zone as second in command, but Blast Zone does all the real leading. Snap Shot actually only trains the Trap Team, the Trap Teams real Leader is Enigma, who keeps track of the 11 trapping crystals. Whisper Elf and Spry kept arguing over who should lead the minis, so their portal master put a end to their arguing by making Trigger Snappy the official leader of the Minis (which is why he gets a Doll Legendary treasure in SuperChargers). Spitfire leads the Superchargers, with both Stormblade and Splate as second in commands, for each terrain type. Golden Queen leads the reformed villains. No one really argued with this since she already lead the Doomraiders before hand, so they just sort of accepted it. And finally, the Senseis don't have a leader yet. None of them want to take the responsibility, as they all see eachother on equal grounds as teachers. They await their Portal Master's word for who should take the job. So far, it looks to be Ember, but only time will tell. Hammer Slam Bowser is actually from a version of the Mushroom Kingdom where everyone are actors for each game (To spite all the power ups and characters' abilities [and sometimes even the sets] being very real.) So he was never actually a villain, and gladly joined DK in order to protect his world, especially now that it was synced to skylands [and soon, by proxy, the Wumpa Islands]. However, he does have a hard time breaking character, to keep up a public image, and has accidentally frightened Buzz on several occasions. But he swears he feels guilty about it. Wallop and Wolfgang started a rock band together. Wallop plays the drums, and Wolfgang plays his harp. Even Grave Clobber himself is confused about becoming Water element. Spellslamzer is not evil, but extremely competitive. That's why he became the champion of BattleBrawl, and after losing there, he decided to try racing instead. I asked for my post to be merged because of duplicate error and both got deleted, 10/10 mods. The non-Doom Raider villain senseis are their own mini team, formed by Pain-Yatta after rehab to spite the Golden Queen that he could be a better leader - though all but him are just tagging along because they want to have the thrills of Skylanders work(and Hood Sickle doesn't want them to do anything stupid on top). Bad Juju and Grave Clobber don't want to anger Her Majesty, but actually she's so amused by how she's working with the rejects and Wolfgang and agrees with them more than with Dreamcatcher and co. she lets them have fun. Pain-Yatta probably calls his team a ripoff name like Hero Riders or something equally childish. I love that. I'm almost tempted to write a fan-fiction on this, where it's the Doom Raiders VS the Danger Bandits, where Pain-yatta wants to get revenge on the Doom Raiders with his new gang for not accepting him into their group. Well, it could even be a comedic version on the Imaginators upgrade. Pain-Yatta wants to be so much better than GQ that he puts himself in dumb situations to be a hero(jumping down chompy pits,or getting himself captured by things far stronger than him to prove he can defeat armies) and the saner ones on his team have to bail him out, or Golden Queen is completely unaware that it's a competition and ends up being braver by accident. That's a really cool idea. You should expand upon it, maybe writing a fan fiction. I can't, got my hands full with current projects already. Ideas for fan content are in no short order for me, the issue is actually having time for any. Trigger Happy dresses up as a cowboy and acts like one all the time. Pain-yatta has a bitter grudge against Golden Queen for not accepting him in as a Doom Raider. Chompy-Mage is basically the Papyrus of Skylands. They literally act the same and have identical personalities. Blaster-Tron looks up to Wolfgang like a father, as the undead werewolf was the one who created him. Buzz is Flynn from an alternate future where Kaos succeeded in conquering Skylands. The explosion that gave Deja Vu her time powers also brought Buzz to the present, where he now secretly helps the Skylanders prevent Kaos' uprising while never letting on to his true identity. All of the Evilikins regard to Krankcase as a father. Krankenstein in particular calls him "daddy" and likes to give him death hugs. The real reason Roller Brawl isn't interested in Kaos is because she's a lesbian... And also because he's loud, whiny, and obnoxious. When not trying to conquer Skylands, Kaos tries to use magic to grow hair. Tree Rex is the oldest and wisest of the Skylanders. Rocky's boulder Roll is actually just that - a boulder. He lacks sentience. But due to spending so much time alone on Peek's Peek, he actually went insane and treats the boulder like his best friend. The other Skylanders simply don't know what to make of their relationship. I'll post more in-depth ones as I think of them. Hot Dog is Eruptor's dog, and Funny Bone is Chop Chop's. Chop Chop is Skylands biggest edgelord! He listens to death metal, talks about death a lot, and mains Reaper in Overwatch. Pain-yatta likes to throw celebrations and parties for no reason. Also, Golden Queen likes to tease him by joking about his fear of being busted open by kids with sticks. As well as the Chompy-Mage, Shield Shredder is also extremely like Papyrus. He sees himself as the very best of all the villains and the most heroic, and wants to impress his creator (Krankcase) by doing anything impressive or daring, which usually gets him into trouble. This means he'll need rescuing from the Skylanders from things like Chompy Pits or an angry Slobber Trap. Also, like Papyrus and spaghetti, Shield Shredder is addicted to eating pumpkin pie, which is something he actually says in Trap Team on his character menu. Actually, Pap's goofy expression would work well for Crash (I'm going to be disappointed if someone hasn't made that fanart), but I digress. Chompy-Mage is basically like a crazy cat lady, but with Chompies instead. in the village Chopscotch lives in, she's regarded like a community friend. Some people even look up to her like a grandmother. The neighborhood kids like that she speaks in rhyme, and the adults like that she saved their village from moon goons. I realised my problem with that drawing, white isn't just meant to be outlines on Undertale portraits and wasn't on that original goofy Pap one. Oh well. I'm not fixing it right now, and again, I digress. Also, my headcanon is that Blast Zone actually is a rocket scientist, and formed the SWAP Force originally. Boom Jet tries to keep it a secret that he has an anxiety disorder. He is constantly on his jet board to avoid nervous fidgeting. The supply-drop upgrade was started by his therapist as way to get him medication in a panic attack. Sprocket and Stealth Elf are lesbian girlfriends. Their relationship is strained. Stealth Elf is always sneaking off in the woods, and Sprocket is worried about her decreased productivity in the garage since they have been dating. Astroblast always tries flirting with Nightfall, but she diesn't like him... at all. That's also a headcanon I came up with a little while ago. The reason Chef Pepper Jack didn't become a Sensei isn't because he wanted to go back to evil. It's because he wanted to pursue his own passion and decided to open and run his own diner, which has proven to be one of the most successful eateries in Skylands. Aurora is usually followed by a paparazzi in public, always asking if she's related to eon. She avoids going to press events with other senseis because of this. she does do magazine shoots. wolfgang went to snap shot to learn how to use a bow and arrow. at first, snap shot was reluctant- and kind of threatened wolfgang's life. Wolfgang then self taught himself the very basics- and impressed snap shot. they're good friends now. ambush is indeed stealth elf's mentor. He was delighted to see her again when he became a sensei. stealth elf only vaguely remembered him. the fame and fortune of being a "founding skylander" made her gloss over meeting her first mentor. ambush thinks about this often, and it makes him sad. ember gets annoyed when people ask her if she's related to any other skylanders. she's never met torch before being a sensei. crash bandicoot is a pretty huge celebrity now. grave clobber is golden queen's (adopted) son. she found him, alone, in an abandoned temple. she took him in, and taught him the evil ways. even though grave clobber is a massive, 10 foot tall, 600 pound monster- he's a child at heart. he likes bumper cars, sand castles, and going on "fossil adventures" in the doom raider mansion. Golden Queen pulled a few strings to get him as a sensei. Gulper wasn't the water sensei because he was at the cafeteria in cloudcracker prison when they were taking the 10 slots for reforms. Barbella locks herself in a room to eat candy every once in a while. Hood Sickle runs a skygram meme page called "kill_meme_now". his twitch tv username is also "twitch.tv/satanstruth666"
Dr. Krankcase has always wanted to be a dad, but could never naturally conceive children due to the loss of his lower half in a car crash. That's why he makes so many wooden people. Even if he did have the required organs, he couldn't- he's gay. chompy mage has commited many federal offences. king pen slides into random rooms on his stomach. he's also never had a brain freeze in his life. grilla drilla and donkey kong once protested for ape rights at the Cincinnati zoo. sometimes fling kong dresses up as diddy kong to impress donkey kong. DK gets a good laugh out of it. gill grunt is an illuminati theorist and believes that there are many hundred versions of him, all plotting on starting the "Great Gill War" to find the true gill. After defeating the darkness, Spitfire took a vacation to earth. All he brought back was a "Make America Great Again" hat. Tri Tip mains olimar in smash 4. The giants have no "Real" leader. Tree Rex is sometimes asked if he leads, in which he replies "The giants are equals." This is a really weird one, but I always had it in my head that Krankcase had a bit of a crush on Golden Queen, and tries to impress her by building giant machines of destruction. She does not know of this. The other Doom Raiders do though, and they tease him about it, except Luminous and Dreamcatcher, who give him advice and stuff. Krankcase was once going to give her flowers and confess how he felt, but he chickened out at the last moment and ran away. Tae Kwon Crow is considered to be the worst Ninja Sensei because he's always shouting. Knight Light and Spotlight can't use their powers at night. Golden Queen has gotten into several online bidding wars with trigger happy, over antiques and artifacts. They both have practically bottomless income. Gulper is usually joked about for drinking so much soda, at the doom raiders' parties with alcohol. he's always the driver. Chef Pepper Jack once tried to make a cooking show along the lines of gordon ramsey. he called it "Hell's Pepper" and was taken off the air after one season. the last episode involved him punching a kid in the face. On his spare time, Krankcase runs a pretty profitable bakery business. In his lab, where he has a small bakery, he'll make cookies, cakes, muffins, pies, cupcakes and donuts, and then send them out to local merchants who'll sell them at the market. The reason Shield Shredder loves pumpkin pie so much is because he's the official taste tester for Krankcase, and that's the best and most tasty thing the doctor makes. There's a Mirror Of Mystery counterpart for Malefor, and he acts like a massive guardian to the Trolls and their villages. It's very weird to see a giant, menacing looking dragon act so kind and be so heroic. Marf Gargaroots is actually the Nightmare Realm's counterpart of Glumshanks, and he's not the only one like that. Some villains from Trap Team have counterparts - Russel Purplestache is Brawl and Chain, Shellshock Sheldon is Bomb Shell, Baron Von Smashbeak is Cuckoo Clocker, Grunkin Gobsprout is Chill Bill, Boris Blisterbottom is the trappable Chompy and Dream Sheep is Sheep Creep. I'll even go on to say that in this dimension, while the villains become more intimidating and scary, the Skylanders become less mighty. I believe that Sleep Dragon might actually be Spyro - a dumber, less competent and less heroic version that slacks off and sleeps on the job, something Spyro doesn't do. Being this lazy and carefree easily puts Sleep Dragon (Spyro) under evil's control, because he's to careless to do anything about it. This can be supported, since there are counterparts for characters in the Mirror Of Mystery, too. The Chompy-Mage invited his brother, the Sheep Mage, to be the Magic Doom Raider, but he refused because of Wolfgang. You know, how wolves eat sheep like in The Boy Who Cried Wolf? Pain-yatta kept offering to take the place of the Sheep Mage, but no one took him seriously so they decided to have no Magic Doom Raider at all. The Doom Raiders exist in the Mirror of Mystery as a resistance group to rise against Evilon's reign. Sonic Boom doesn't like to go on missions because her motherly instincts make her worry about her children too much despite having trained them to fight in the first place. Despite being a Skylander now, Krankcase still spends his free time inventing villainous devices which he tries his hardest to keep secret from the Skylanders. They're used to it by now, especially since they just blow up in his face most of the time. Chill is a lesbian, and she was so dedicated to protecting the Snow Queen because she was also in love with her, and she was very distraught after she failed to protect her from being captured. Torch is also a lesbian and has the literal hots for Chill, and flirts with her every chance she gets, mainly because she enjoys seeing her "Silly Chilly" get all flustered. Head Rush doesn't known her own strength most of the time and will sometimes accidentally rip doors off their hinges or destroy something. Grim Creeper's soul changes color depending on his current emotion (Blue for neutral, green for happy, yellow for sad, red for angry, or pink for excited). Golden Queen paid Gulper to give up his role as Sensei to Grave Clobber, because she wanted to have one of her inside guys there to protect her during battle. Whatever element Bad Juju is in, Golden Queen did the same with the Doom Raider/expected villain of that element, too, be it Pain-yatta for Magic or Dreamcatcher for Air. The Chompy-Mage eats huge meals everyday and will sometimes eat a whole cake as an afternoon snack, yet he doesn't seem to gain any weight at all. All the other Doom Raiders think he uses magic to keep his figure. Another one on the Chompy-Mage, but I also think that after he was defeated in Giants, he was taken to Cloudcracker Prison, and that's where he first met the other Doom Raiders. Ambush is regarded as the oldest of the senseis. Plant based beings tend to reach great age in skylands- effectively making stump smash, tree rex, and ambush the 3 oldest skylanders. Hot Head and Eruptor are father and son, and Hot Dog is their pet. Eruptor drives to school every day on his dad. Mab Lobs decided to quit evil and open a bar, which he runs and is a popular place for Skylanders and Villains to rest and relax after a hard day's work. One of the reasons everyone hangs out there is because it has a pool table, and everyone's playing it. Thrillipede and Hood Sickle are the best players. Nightshade became an actor, as well as a champion Skystones player. Like I said before, Chef Pepper Jack opened a diner and Mab Lobs opened a bar. Dreamcatcher started a fortune telling business. With her powers, it's easy for her to tell the near future and recent past of her customers. She also owns a little shop that sells things like abstract paintings, dreamcatchers and crystals. Gulper was inspired by his Villain Quest to sell balloons to children at amusement parks and zoos. Some of the villains joined together to start a sports league, where they play primarily basketball and football. These villains are Cuckoo Clocker, Brawl N Chain, Bomb Shell, Scrap Shooter, Shield Shredder, Krankenstein, Bruiser Cruiser, Brawlrus, Lob Goblin, Eye-Five, Fisticuffs and Blaster-Tron. Shield Shredder thinks he's the best player out of all of them but he's far from it. Some other villains, who, specifically, are Tussle Sprout, Buzzer Beak, Sheep Creep, Chomp Chest, Slobber Trap, Eye Scream, Rage Mage and Broccoli Guy, started a gardening group, where they plant flowers, trees and vegetables all over Skylands. Their goal is to make their world a nicer and prettier place. They have a ridiculous name too - The Flower Friends. The reasons Pepper Jack, Nightshade, and whoever else isn't becoming a Sensei didn't is because being a Skylander simply didn't suit them. They're still rehabilitated, but have different jobs, such as Jack going on to be the head chef of the finest restaurant in Skylands, as well as having his own show similar to Beat Bobby Flay, and Nightshade... well, he's still a thief, but a more Robin Hood-esque thief who robs from other villains to donate to charities. They're still in touch with the other Raiders though, with Nightshade donating to promote Chompy Mage's Chompy Sanctuary. Prism Break and Flashwing are fans of Steven Universe and like to binge watch episodes together. Most of the distinctly human-like Skylanders are evolved humans effected by the harsh environments of Skylands. Krankcase is a great strategist, and often made the evil plans for the other Doom Raiders. As a Sensei, he's great at planning how to ambush and surprise attack bad guys. In a similar case to Anakin Skywalker, The Darkness used its power to create Kaos. He had chosen him as the being who was destined to help The Darkness conquer the universe. In other words, Kaos' Father is not Kaos' actual father. He was created and then The Darkness chose for him to be birthed into a family of other Dark Portal Masters. From then on, it was Kaos' ultimate destiny to release The Darkness' power and help him destroy the universe, for it was what he had been born to do. When he had finally reached his ultimate goal and discovered the last fragments of The Darkness, that was when SuperChargers took place. Kaos is oblivious that this is what he was born to do however, and believes he was just born to rule Skylands for himself. In reality, it's The Darkness that has created his fate for him. However, Kaos broke his own destiny when he turned on The Darkness. Also, I imagine that Glumshanks has a bit of a thing for Mags. Mysticat is a massive braggar, and considers himself a king. King Pen is good friends with Mysticat, but tends to get a bit competitive for "whos the better King." He usually wins. Air Strike is like one of those little kids who sees a plane in the sky and is like "OhMYGOD PLANEEEE! I WANT TO FLY ONTO IT AND RIDE IT TO RAINBOW LAND!" Also hes super clumsy. Chopscotch is really good friends with Air Strike, but most of the time no one knows what shes saying. Wolfgang tends to jump on lunch tables and starts singing. He draws a crowd... and not the good kind. Aurora is Eon's Daughter who is solely focused on battle, not anything else. That possibly Light Bowslinger tends to flirt with her and it gets her super annoyed. Ambush is that strange guy no one understands. He says something and it's silent for like 10 minutes. Ember kinda hands out in the shadows and doesn't really talk to anyone, but she's good friends with Ambush and Wild Storm. Barbella, the one who gets really irritated whenever someone insults her by saying Donald Trump or Miley Skyrus. She may have thrown more then 12 people over the edge. They have not been seen since. She will turn you into a Barbella too. Tae Kwon Crow yells at everything. Tri-Tip is the guy who wants to literally break everything and is a huge troll. Nobodies around? TIME TO DESTROY EVERYTHINNGGGGG! Grave Clobber just wants his mummy. Chompy Mage talks to himself and has no friends. Tear. Hood Sickle basically wants to kill everyone. Krankcase is a crazy scientist, and no one will go near him. Golden Queen wants gold. Nuff said. Squid Lady plays splatoon all day. Boom Bloom is a griefer and a huge troll to everyone, but no one ever knows its her because shes sneaky af. Wild Storm has a crush on Nightfall, but battle hungry either way. I just did the Imaginators ones for now because I'm bored and lazy bye. Chopscotch and Dreamcatcher are great friends. Some of the Skylanders have "clubs." For example, Slam Bam, Starcast and Thrillipede host a club for Skylanders with four arms. There's a club for primate Skylanders, bug Skylanders and even Skylanders with only one eye. Some of the villains are like the gang in Friends. Just imagine Golden Queen as Rachel, Nightshade as Joey, Krankcase as Ross, Dreamcatcher as Pheobe, Bad Juju as Monica and Luminous as Chandler. There's a guy who lives on a planet where the residents of Skylands dump their garbage, who desperately wants to become a Skylander who uses trash as a weapon. This guy also eats and sleeps in trash. And the Skylanders turn him down because he smells bad. He's also voiced by Danny Devito. I'm so happy you made that reference. That really did just make my day.